Three Examples of the Segmented Multiplayer Game. I hate to bring up World in Conflict so soon, well actually I don’t hate it because it’s a great game, but a recent discussion about the isolating nature of real time strategy games had me think about it a bit more. One of the most amazing, and crippling, aspects of an RTS is that it’s you and your opponent locked in battle and if you win it’s because you were superior and if you lose it’s because your opponent was the better player. It creates the most incredible high I’ve ever had in game but also some crippling lows. I graduated in sociology and this idea really interested me. The RTS genre has seen a weakening of their market for some time, for a variety of reasons from major studios closing to the ever growing console market share, but one often discussed reason is the rise of the MOBA. Now the genres are quite different but they are often compared and the rise of the MOBA. both in sales and in eSports. is undeniable. Now I won’t dwell on this too much but in my research into this I found one reason for it’s rise, it’s a team game that is competitive. As humans we naturally shy away from too much focus, for good or bad, due to the extreme emotions tied to it. If you study matchmaking in online battle arenas you’ll find people are very negative both during a loss and after and it’s because they are shifting blame away. A loss still hurts but when we can blame someone else it eases that blow. Your brain is so eager at a base level to pass blame it will lie to you about what you actually did. Now this doesn’t happen in the vast majority of real time strategy games, when you lose either you were worse than your opponent or you made a mistake, which is crippling to new players who are trying to learn the game while gaining confidence. Whole articles have been written about the complexity of the RTS genre for new players and it’s role in the decline of that era, I don’t want to discuss that specifically today, instead I want to look deeper into three things that have actually melded that team factor of other games like League of Legends or Counter-Strike: Global Offensive with the complexity and multitasking of real time strategy games. Now team modes have existed in RTS games for almost as long as they’ve been around. I played countless team games with my brother of Age of Empires, Warcraft 2, Starcraft along with many others, and still enjoy them but they were rarely the focus on the gaming community. They were fun because you could team up with a friend and try and dominate the online world, proving your team dominance to all who opposed you. There were natural weaknesses to this though, for the most part RTS games of the past two decades have tried to achieve asymmetry among their races/cultures which can be overly strong when combined with other groups. In Starcraft 2 for example it’s rare for team game to be won consistently without a Zerg on the winning team while in Age of Empires 2 you always wanted Mongols on your team. This lent itself to a frustration for many players and now we see team servers are more or less dead even on the largest real time strategy games. Within the realm of strategy games telling a player they can only build one unit, or type of unit, is seen as very taboo. This was for good reason, players tend to like freedom to do what they want. But WiC broke this system down with a good reason. By shattering how their players viewed the game and their role within it they could master that role as part of a team and find a new level of teamwork and accomplishment they wouldn’t have found otherwise. Now MOBA’s hadn’t seen their rise in 2007, when WiC was released, yet but it was clear that Massive felt that by forcing players to be part of a team and to limit their view that they could create a multiplayer scene where players achieved both lower stress and also that sense of having people to lean on if you struggle. Having, and being part of, a team is rewarding and helpful for both veteran and new players and while Massive and Ubisoft didn’t support a competitive scene we saw a lot of community driven games that was very friendly to new players. While WiC is largely dead I’ll always remember that mutliplayer style and how it felt so differently compared to other online competitive real time strategies. But there wasn’t just a singular light on that front of making real time strategy appealing more appealing and form less stressful team modes. Another breakthrough, and one that helped me make this connection, was the monobattle invented by Sean “Day” Plott (one of the most influential PC gaming personalities over the past half decade) during his one of his “Funday Mondays.” The Funday Monday is a two level designed challenge where Sean asks his viewers to send in game replays from Starcraft 2 after he puts a strange restriction on them. These restrictions are meant to be both fun as well as instructive to learning the nature of the game. In this episode (and many more afterwards) we were tasked with playing a team game with two or three teammates but each of us could only build one offensive unit. This would lead to the intended funny games but also helped the teammates realize that if each player picked a unit that complimented the others they would have the most success. Players learned what roles they were good at and worked together to beat opposing teams despite actually having fewer units and tactics to work with. This narrowing of vision for players actually lead to more success rather than failure. The most amazing thing is how popular monbattles became, modders made special maps to play on and those maps had more active players than the official team game servers, I’ve participated in a few myself, often to great shame. While their popularity is no longer at that peak it is still the most popular team game option in Starcraft 2. These two examples both show how RTS games can remain complex while allowing players to limiting their purview and allowing them to work as a team to accomplish more than they would have otherwise. It also presented a lower stress form that eases new players into the game while also being fun. But my final example isn’t even out of beta, Archon mode in Starcraft 2: Legacy of the Void. 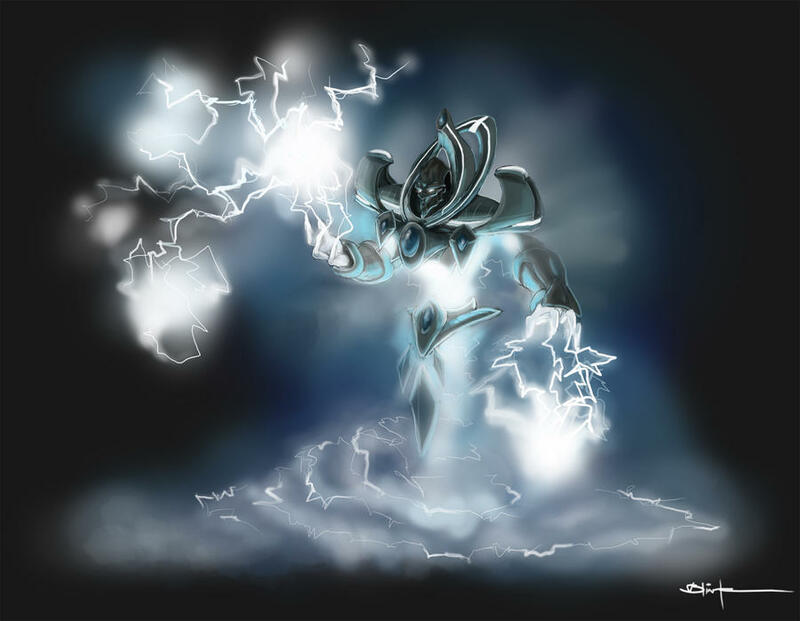 In Starcraft lore an archon is the fusion of two beings into a much more powerful one and this is a good symbol for the mode. Archon mode is actually an expansion an an old mode from the original Starcraft but taken to a much more polished and complex level. With the upcoming release of the final Starcraft 2 expansion will come the public release of a new mode known as Archon mode. This mode will take the traditional 1v1 ladder most players spend time with in real time strategy games and adds another player to each tside. Unlike traditional 2v2 games where each player has their own base, units and racial/cultural specialty, Archon mode has two players controlling one base each. Immediately this removes the racial imbalance inherent to Starcraft 2 team games. After this the benefits become more about the players and less about balance. Coaching players at any level is more convenient because the player being coached can play like they would normally in a 1v1 while their coach or friend could watch all their movements as they are making them. It helps players who are more experienced cover each other flaws. Starcraft is a very tactical game with strategy built deep into but it also requires incredible speed. The difference between 90 actions per minute (APM) and 150 APM is massive. Those extra 60 actions mean you can harass better, build workers more consistently or control your large army more perfectly. Archon mode gives you that help. Two players with 90 APM can assist each other and fill the gaps they would miss otherwise, whether this is done by one player controlling the units and the other player gather resources or through other methods, it helps the players assist each other and play better together than they could apart. I won’t dwell on the profession impact too much other than tell you to watch this match of two top (as top as you can be after a few months of the mode existing) Archon teams. Another model we’ve seen used it both players do both roles and maximizing their abilities. Want to drop behind the enemy base? Well now we can do it from two positions. Are we under attack while our base is being destroyed? Not a worry. The last professional theory we’ve seen, the mode is still young, is that of the gap filler. Even professions with their 300 actions per minute still miss things. Overlooking a sneak attack or forgetting upgrades, they wish they had that extra 10% to put them over the edge. An Archon partner can be that extra 10%, filling in what you remember but don’t have the speed to do. Communication is obviously vital in Archon mode but this style allows the player to assist the lead player in where he or she may miss. These varied options allow two players to help each other even if one style doesn’t fit their personality or skill set. The real time strategy genre has been one of lone wolves who live and die by their own skill and glory but this has lead to the nature of it being a difficult genre to really grasp without intense frustration for new players. I believe that World in Conflict, monobattles and Archon mode have taught us that while there will always be a place for the standard 1v1 online competition, if we give players less to focus on and a teammate to rely on they can still enjoy the complexity of RTS games without destroying the integrity of the game. I love RTS games, it’s why I write here, and I especially like that they are hard to play, despite my own faults, but I am so happy that we are seeing more ways to introduce newer players to this glorious world of games without compromising the game itself. I don’t know if Archon mode will bring in countless new fans, I doubt it will, but I do expect current fans will be more willing to say to their friends “hey this game is awesome and don’t worry, I’ll be right there helping you along as you learn.” This tool to assist new players, that additionally adds depth for veteran players, is so valuable. I also don’t think this mode will appeal to everyone and I don’t think it has to, but if it can be a tool to veteran players to help those who are hesitant to play tip their toe in while having someone hold their hand, I think it will be worth it. I have spent a significant amount of time with each of these modes and can tell you from experience that they add something that is missing from most real time strategy games. Always remember two is better than one. Next Wayward Strategy’s Top 20 RTS Units of All Time! Haha very true, while there is logically really only two things to blame, we often do try and blame either the game design or some form of cheating. This is especially true in asymmetrical RTS games. This can help anyone one of the most amount of money within the long-term.